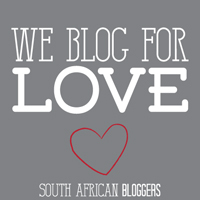 As I was delving into one of my favourite magazines I got inspiration for a blog post. As much as I wish I could tell you that I was reading Vogue while sipping on a mocktail on an island ,that’s not the case. Instead of buying the international magazines I get inspiration from their online sites. 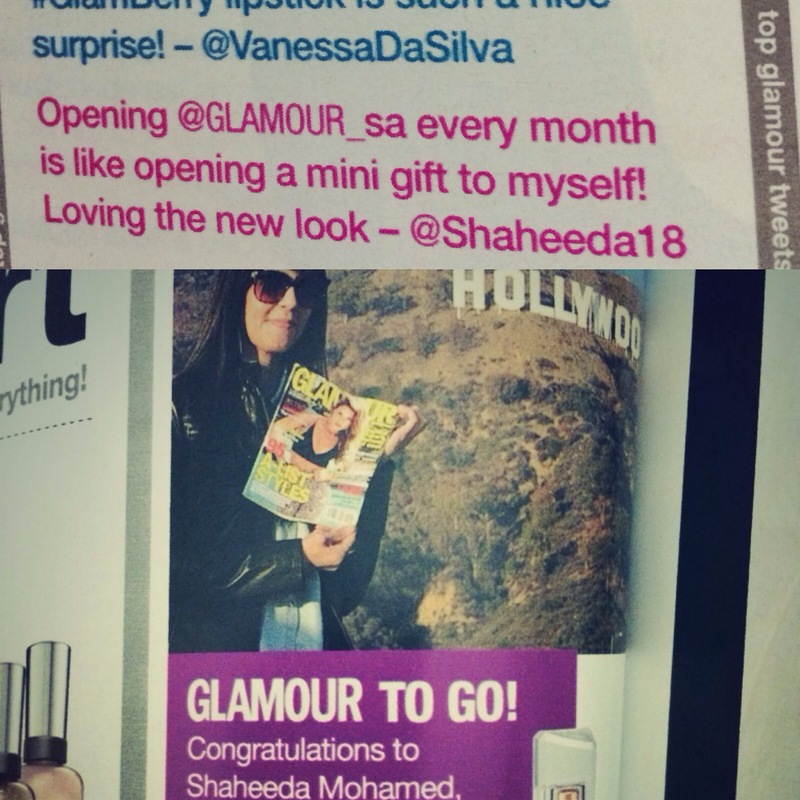 But there are two magazines that you will find in my possession every month – Glamour SA and Elle SA. 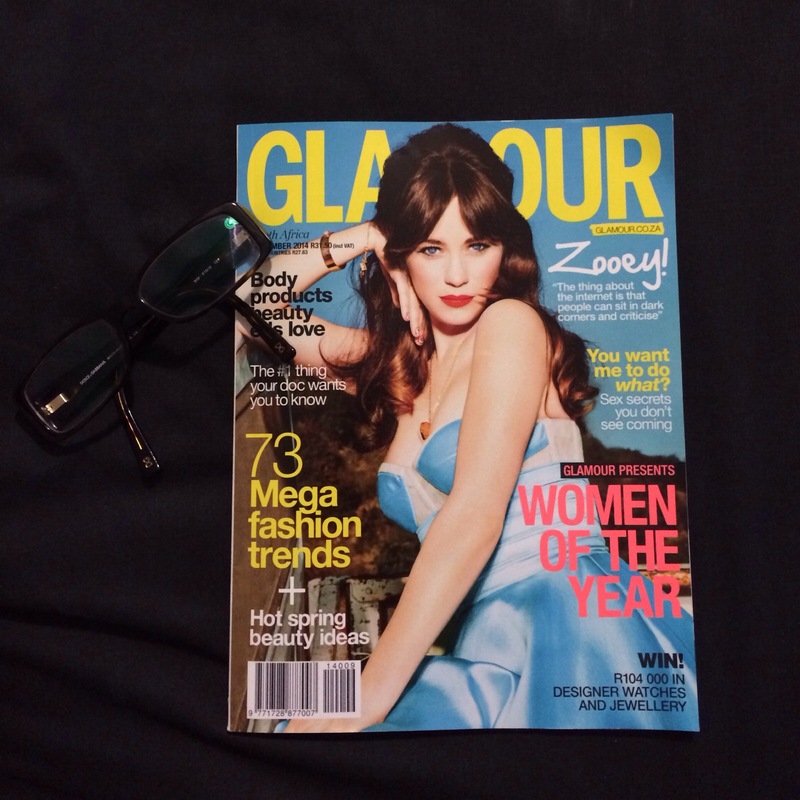 Glamour has been a firm favourite, since I was about 17 it’s been the one magazine I continuously bought. I find that Glamour tends to focus on young women inspiring them to take on most challenges in their life. Their fashion spreads are very creative and trendy. Glamour isn’t all about fashion and beauty although that’s the primary focus. There’s always sterling relationship and financial advice in every issue. 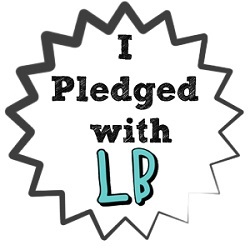 And you will find the odd hard hitting articles that discuss everything from eating disorders to substance abuse. My favorites every month have got to be the “Hey it’s okay!” feature which makes women feel more human than super human, the fashion Do’s and Don’ts and the Glamour List which always gets me laughing. 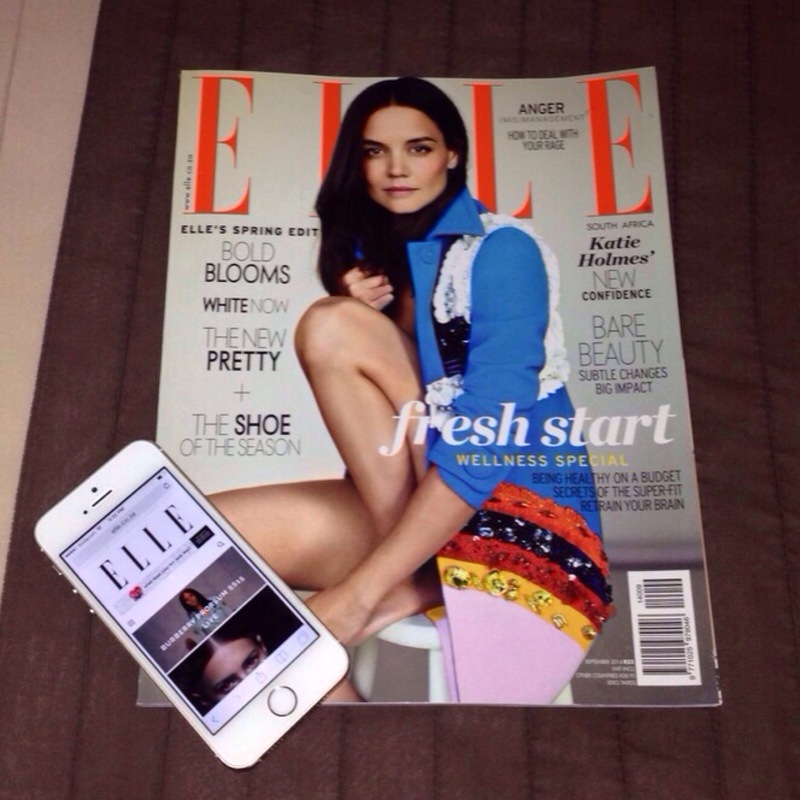 Elle focuses on everyone from the trendy fashionista to the classic mom who needs help with her style. That’s why I love Elle for their diversity when it comes to fashion spreads. Elle focuses on street style inspiration as well which appeals to me. Also the fashion in Elle is usually a lot more high end than chain store but hey that inspires me to dream.The Elle beauty spreads are always sinful as I get so enthralled by the products that I want to purchase them (and I have on more than one occasion). Elle also focuses on highlighting current issues that we find ourselves being challenged with on a daily basis. Essentially I would describe Elle as being a magazine that targets the lady who is still discovering her style aesthetic to the sophisticate who is pondering on the next designer bag to add to her collection. I also use these magazines as inspiration for trend reports as they form basic guidelines each month. I plan on doing a few “My Favourite” features in the near future so you get to know me a little bit better. So keep reading. Michaels take on Spring 2015!